Our essential nature is vibration, as expressed in the harmonious sounds of the human voice. The object is to dissolve all the stresses that impede those vibrations and re-tune the chakras. James will offer vocal toning practices focusing on the transformation of the chakras that comprise many of our psychological attributes – rootedness, creative flow, authority, compassion and communication, among others. 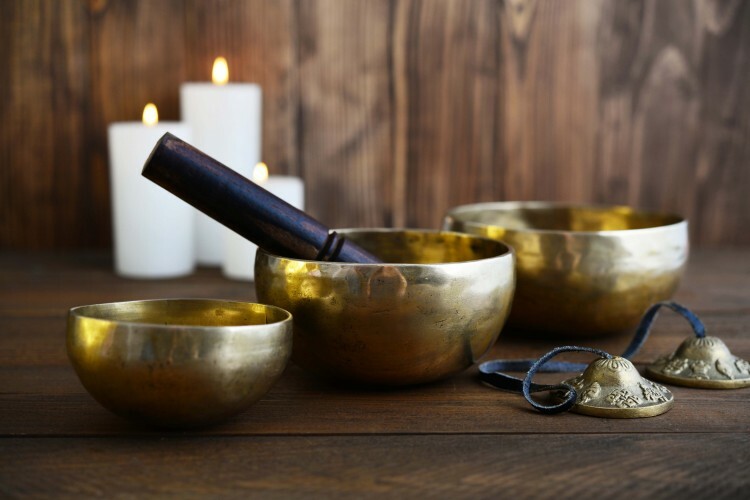 There is a simplicity to these practices, using only vowels, consonants and seed syllables, which enable the participants to easily and effectively draw the chakras towards their optimum rate of whirling. James complements some of the vocal sound with simple Tai Chi style movements that encourage and direct the sounds. This work is in two phases. First, the active, where the participants produce these mantra-like tones and stimulate the energy centres. Second, the meditative stage, where they tune into their experience. James also includes natural sound rituals, such as humming and laughter. Then there are the special and unusual Taoist healing sounds and seated movements directed at the organs of the body and their affiliated emotions. The participants are also given a taste of tuning forks as a centering tool. This workshop empowers participants to take home the techniques demonstrated and practice them on a daily basis. The workshop is complete in itself and is not one of levels. No previous experience is necessary. James D’Angelo (PhD) is a very well established figure in the field of sound healing. His workshops have evolved over a period of 25 years and he has led them internationally. He is the author of ‘The Healing Power of the Human Voice’ and ‘Seed Sounds for Tuning the Chakras’.